Why should you invest in a podcast for your business? Here are some recent articles about the stats and money made in podcasting. Spotify: globally, podcast listening is booming. "In Germany, podcast listening on Spotify has increased 150% year-on-year. Growth rates globally are 367%"
Podcasting is growing: monthly listeners grew from 24% of Americans 12+ to 26% year over year. Podcast listeners are more likely to own a smart speaker. Listening in vehicles is growing. Podcasting’s Share of Ear has doubled in four years. Podcast fans are big spenders. "The average US household spends $3,981 on consumer packaged goods (CPG) annually. 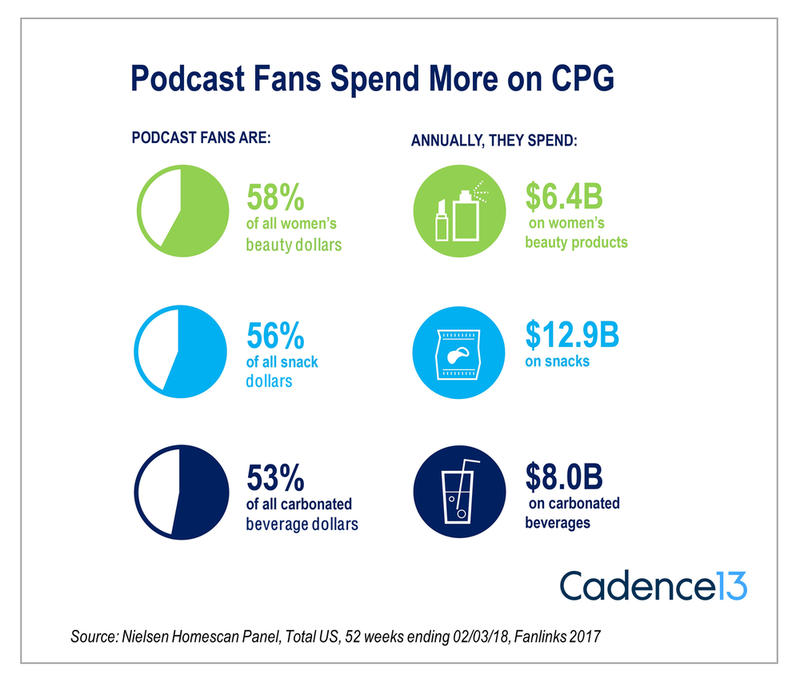 When we take a look at households with podcast listeners, the CPG spend jumps to $4,036. Fans of specific podcast genres, such as Sports, and TV & Movies, spend even more annually." Why do millennials ask for a specific bottles of wine? Answer, wine podcasts.